A group of thrill-seekers have raised nearly £14,000 for the Charity by zip-lining from the chimney at Littlebrook Power Station. Members of staff from Bericote Properties, who owns the 210m high chimney, were joined by London Fire Brigade Commissioner Dany Cotton on the descent. The London Fire Brigade is planning to hold a major fundraising event at Canary Wharf next year, and needed somewhere to test out the equipment. So Bericote Properties offered them the site in Dartford, as well as all proceeds from their fundraising. 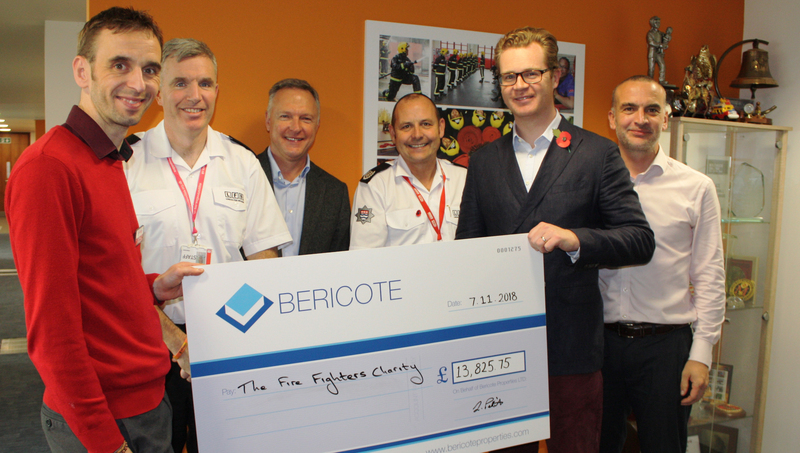 Members of the team visited the London Fire Brigade earlier this month to present their cheque to the Charity.